Thanks to Mike for the idea! Thing 1: I’m on hold! Thing 2: But you’re not holding anything. 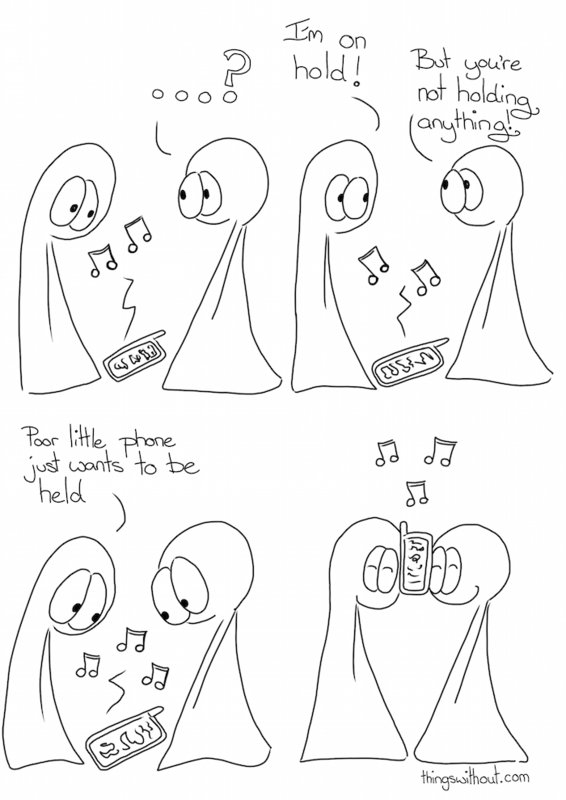 Thing 1: Poor little phone just wants to be held. Things hold the phone between them.